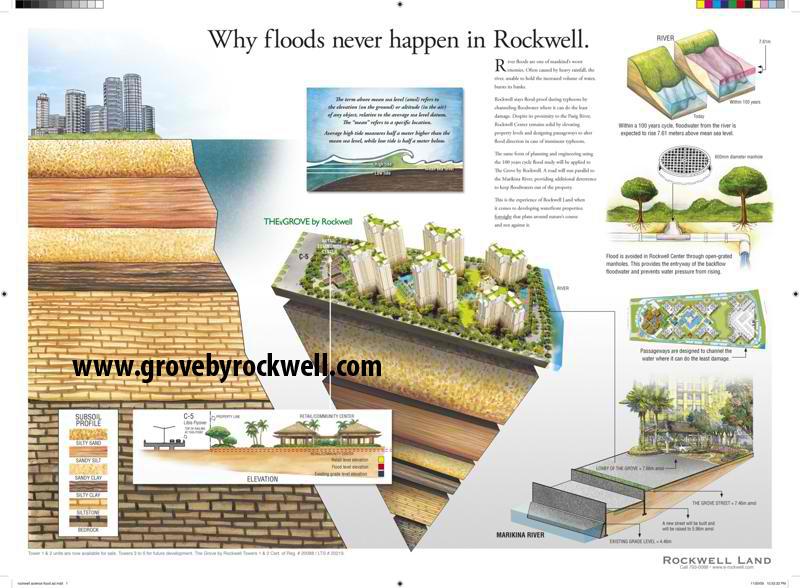 ROCKWELL  Land, the property development unit of Lopez group of companies, has included future-proofing in it’s the Grove project in Pasig City to ensure it will be spared from floods in the next century. 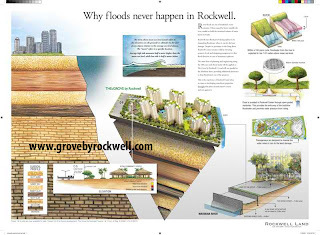 In an e-mail interview, Rockwell Land marketing manager Vienn Tionglico said the company’s planners reviewed a 100-year flood cycle study of the location of the Grove to determine the property’s evaluation. She said the planners studied the impact of the typhoon Ondoy as basis for developing the topography of The Grove. Although the flood level of typhoon Ondoy reached 5.16 meters at its highest point, Tionglico said Rockwell Land had the level of The Grove to 7.41 meters which will keep it 2.25 meters above the water. Furthermore, Tionglico said Rockwell Land’s consultants have projected the need of a flood-free project up to the next 100 years. “Should the worst case of flooding over the century recur, the water will only rise to a mere eight inches above The Grove’s ground level,” she said. In terms of proximity to the Marikina River, she said the closest point The Grove is still 20 meters away from the bank. Assuming that Towers A and B do not have underground parking, Tionglico said there is no chance of water entering inside the parking area. She added that basement parking of Towers C and D will also have protection as it is 103 meters away from the river bed. “This distance naturally creates a sandbag effect to secure our basement level against flooding. Furthermore, pipes that function to pump out rain water will be situated on the streets and not within the basement parking. In the event that a pipe bursts, water will not affect the parking area,” she said. 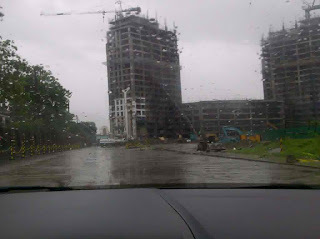 Tionglico said a road that will run parallel to the Marikina River, similar to one seen in the company’s Rockwell Center development in Makati city, is being planned with an elevation of 5.96 meters above mean sea level, to also provide additional deterrence from floodwater penetrating into the development. She said Rockwell Land gained big experience in building waterfront properties, with the Power Plant Center built in close proximity to the Pasig River. She added this is same form of planning and engineering applied to The Grove project.